I don't think I remember the last time a "trend" in entertainment technology generated such widespread loathing as 3D has in the past six months. If you're one of the haters, brace yourself, because it's only going to get worse. Going by what a number of publishers have told trade site MCV, it seems 3D will be the industry's biggest push in the immediate future, and not, as you'd expect, motion controls. "This will be on the cutting edge of gaming for the next year or two", SCEE boss Andrew House says. "If Avatar taught us one thing in an age of globalisation, it's that when consumers embrace something it moves quickly. This is definitely a wave of the future and one that we intend to ride." Namco Bandai's Olivier Comte is equally optimistic. "Natal and Move are two new tools, but I don't think either are the next revolution of games," he said. 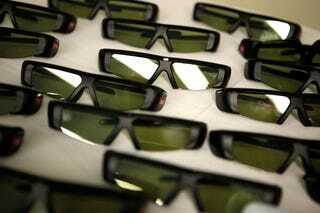 "I believe the next revolution will be 3D. I have tested some 3D games and I think it is a big change." Thankfully, Take-Two's Ben Feder acts as a voice of reason, saying "The use of 3D needs to be meaningful to the gamer and publishers will need to ask questions. Will it draw players further into my world? Will it change how they interact with the game? Will it make the title more fun and keep the player engaged? The answers need to be ‘yes' for them to fit into our strategy of being a leader in innovation and quality."